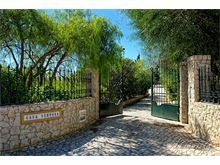 Casa Ventura is set within substantial lawned grounds that offers peace and privacy yet is close to the popular town of Carvoeiro with its abundance of shops, restaurants, cafes and bars. 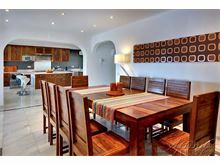 A long, gated driveway leads up to this spacious house that's perfectly suited to large families and groups. Once inside, the convivial open plan kitchen with central island opens out to the main living, dining and additional seating areas that all overlook the delightful covered terrace, pool and gardens with distant sea views beyond. There are plenty of comfy seating areas provided around the pool, the partly sheltered and walled barbecue area provides the ideal spot for al-fresco dining and the extensive garden is perfect for younger guests to run around, before cooling off in the pool. 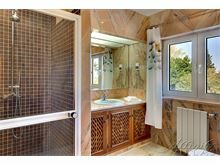 Approximately 700m from the local restaurants, bars and small supermarket and approximately 3.5kms from the beach and shops in Carvoeiro centre. 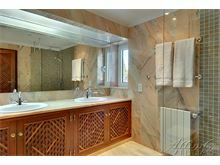 Gated driveway leads to main entrance hall, with utility room and guest cloak room. 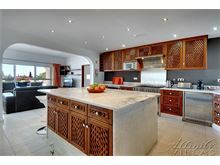 Straight ahead leads to lounge/dining/kitchen with doors to terraces, pool and garden. 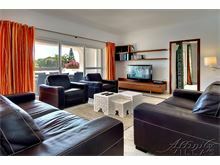 Lounge with comfortable sofas, TV and DVD, dining area with large table and seating for 12 and kitchen with island, 6-ring hob. Just off the lounge is a separate sitting area. Off the lounge to the right leads to a large double bedroom, with TV, terrace to the pool front, en suite bathroom with bath and separate shower. Off the dining area to the left leads to a twin bedroom (no air conditioning) through which a double bedroom is reached with en suite bathroom with walk-in shower. Off the entrance hall, up the stairs, leads to landing with large double doors which lead to a hall. 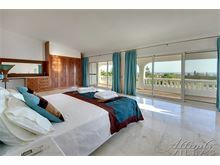 In front is the master bedroom with en suite bathroom with walk-in shower and large covered terrace which leads to iron staircase to roof terrace with amazing views. Hall to the right leads to a bedroom with a bunk bed and a sofa. Hall to the left leads to double bedroom and to separate bathroom with walk-in shower. Pool area has separate shower and guest cloakroom, large terraces on separate levels, with comfortable outdoor seating and sun loungers. Garden with huge grass lawn, fruit trees, palm trees and a variety of plants and shrubs, gazebo with outdoor seating to the left. Charcoal barbecue set within a partly covered, wind free terrace, overlooking pool area and terraces. 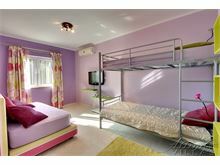 Air conditioning is available throughout the property with the exception of one bedroom. Maid service 3 times per week. Pool heating is available at extra charge, if required. 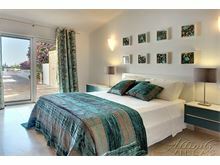 I would recommend both affinity villas and the villa we rented to families or large groups of friends. The booking process was very simple and the affinity villas team helped us and communicated all the information we required before we travelled and once we arrived. We rented Casa Ventura, a wonderful house in a quiet area. 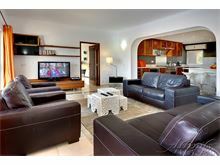 The house offered complete privacy, good security, fully equipped with a great pool, terrace and bbq area. Our children enjoyed exploring the garden and swimming in the pool. 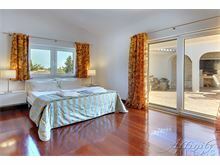 There are several golf courses nearby and both Ferragudo and Carvoeiro are 5 minutes drive. The local tennis club is walking distance. Kitchen was well stocked, laundry was easy to wash using the machine, WiFi was fast and all the rooms comfortable. The villa manager was very helpful, we hope to visit in the future. You will need a car if you stay here. The villa grounds were superb, and the villa itself spacious and comfortable. 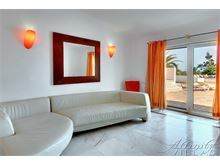 Superb villa, ideal location, lovely grounds. We were a family of 12, with 3 generations and everyone really had a fabulous holiday. 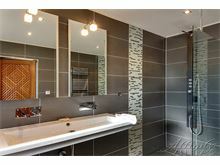 Impressive Villa- beautifully presented and gorgeous location! No more than 20-25 minutes drive from most of the places you would want to visit in the Algarve. We had a great stay! An excellent holiday in a high class villa! 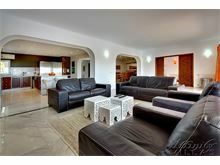 The photographs of this villa do not do it justice. It is absolutely stunning. The grounds are beautifully kept, and perfect for strolling around or a game of rounders for the more energetic members of your party. 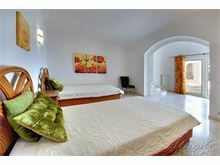 The Villa is spacious, and has everything you could need during your stay. The views from the balcony off the master bedroom are a beautiful sight to wake up to, and I would recommend going up to the roof terrace to take photographs. 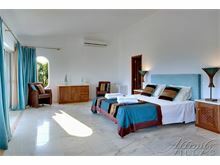 I could not recommend this villa highly enough, it is stunning. We will certainly be returning. Ideal for large groups of family or friends. Beautiful outdoor space. Large kitchen. Nearby restaurant serving fabulous food. Walking distance of supermarket. Taxi service affordable friendly and reliable although car would be advisable if guests wanted to explore the area. Our holiday at Casa Ventura was fabulous, the villa was amazing, it was like being at home with all the facilities/equipment to hand in the kitchen, at the bbq etc. Hope to be able to do again next year. Highly recommend. We had a two week holiday in Casa Ventura in June 2018, a family of 12 with three generations and we loved it. The pool is amazing and the gardens are huge providing lots of space for the youngest of our clan to explore. 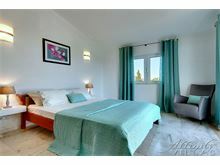 The villa is beautiful and well equipped and clean. If you hire a car the location is perfect, close to lots of places to visit, plenty of places to shop and eat. On our last night we walked to a local restaurant called Luisa's and wished we had discovered it earlier, the food, service and restaurant is great, well worth a visit. Would definitely recommend this villa and Affinity Villas. 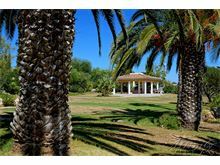 Villa Casa Ventura is really excellent, very spacious and very private, set in extensive grounds - this worked perfectly to give privacy to our family and young grand daughter when needed, but with great areas to relax together. 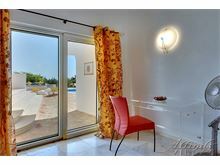 Pool is lovely and was heated to a nice temperature, outdoor cooking area is great and villa is extremely well equipped. Local small supermarket was pretty well stocked, local pizzeria/bistro Luisa was excellent. Nearby beach and restaurant Rei das Praias a highlight. We were blown away by the size and quality of the villa and grounds. As a party of 11 (3 families) we had sufficient space and privacy but were able to enjoy communal activities such as food prep in the enormous kitchen, games of rounders out on the lawn (none of us managed to belt the ball out of the grounds they are that big! ), swimming races, football and much more. The outside kitchen and BBQ were a great hit and well used with BBQs every night. 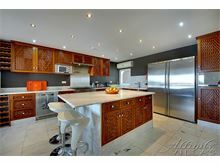 Easy walking distance to a few good value shops and a range of eateries. We came home happy and relaxed, looking forward to another Affinity booking! Thanks! !